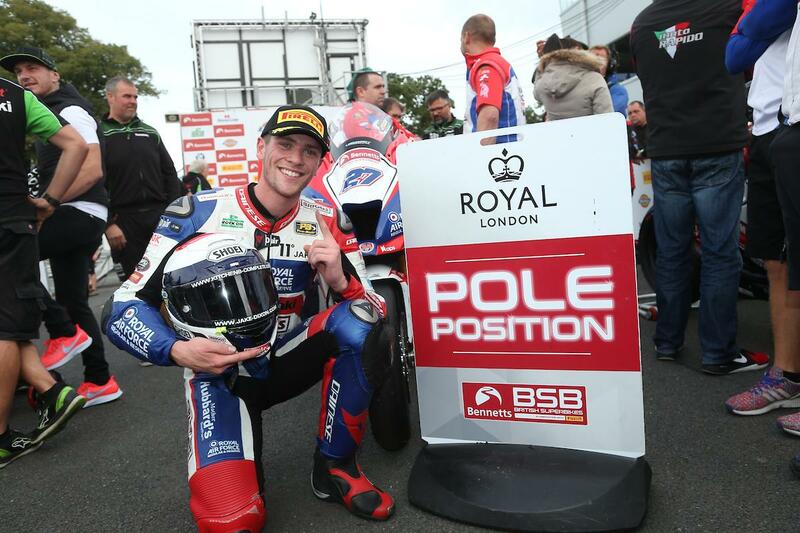 Jake Dixon has described his qualifying performance at Oulton Park today as the ‘best lap of his life’ after shattering the Cheshire circuit’s outright record for pole position. Dixon lapped the 2.7-mile course in a time of 1’33.758, 0.175 seconds quicker than Shane Byrne’s 2016 pole record, to take pole for tomorrow’s opening race. And starting on pole position for that first race presents Jake a chance to claw back some of rival Leon Haslam’s championship lead with the JG Speedfit Kawasaki star starting dead last after an engine issue in qualifying. “That was probably the best lap I have ever done in my life,” he told MCN. “It felt so good, I cannot tell you how much fun I have had so far this weekend. I feel really relaxed, the pressure is on Leon to go out and get the results – it’s his to lose! I’ve just got to do what I can do and the way I’m going about it is just enjoying myself and if it is meant to be it will be.